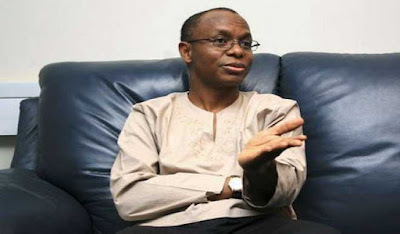 The Kaduna State governor, Malam Nasir El-Rufai, told a team of Daily Trust editors, in an exclusive interview, has accused APC members with 2019 Presidential ambition of twisting the content of his memo to President Muhammadu Buhari to achieve sinister motives. “This is a memo from an APC governor to an APC president, but who is shouting more than everyone? It is the Peoples Democratic Party (PDP) people that are trying to describe who I am to an APC president. Many of these things going on are being driven by the PDP, who think that they have got something to mind. Secondly, within our party, there are people that have started running for the presidency. There are people that think Buhari is finished and will not run for a second time, blah blah blah. They are running for 2019, so they will do everything to twist what is in that memo. I believe I am a target because there is a pattern and I can give you few examples in the last two weeks. 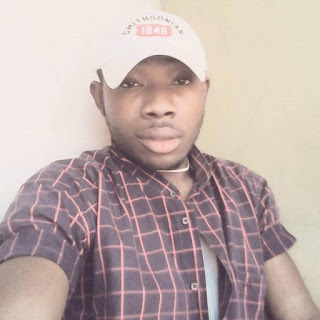 I am a target because I made everyone that has the ambition to run for the president of Nigeria know that I am a Buharist. As long as Buhari is around, there is no point even talking to me. So I am a target. And those that have these ambitions know that when 2019 comes, by the grace of God and President Buhari says he wants to run, I will be at the frontline fighting for him. If by 2019 President Buhari says, ‘I am not running, this is the person I am supporting,’ they know I can die to make sure that person becomes the president. They know that I will follow Buhari. In the last three weeks again, this memo was leaked and there are stories that I leaked it because I want to distance myself from the government and I have this or that ambition. If you read that memo you would see that one of my concerns is that we need to clean up our political space so that President Buhari would run again. This is my aspiration. There were stories that I refused to receive the president. I have enrolled in a part-time PhD programme at the University-Merit in the Netherlands. It was the vice president that wrote the recommendation for me to get admitted into the programme, so I am not doing it without the knowledge of the authorities. It is a programme that requires me to go to the Netherlands for two weeks and most of it is research-based. I do the research in my spare time. That was where I was when I got a call from the president that he would be returning to Nigeria on Friday. I was in the Netherlands, but I did everything, including getting a friend of mine with a private jet to send me a plane so I could come back and receive the president, but it was simply impossible because even if he sent the jet, the pilot must rest for some hours. In this state, we already have a system in which whenever I am not around, the deputy governor becomes acting governor. This has happened at least 15 times. I write to the state Assembly just like the president wrote when he was going. So, I got the consent of the president to have the deputy governor receive him while I continued with my programme. That was what happened. Many of the things you see going on, even the situation in Southern Kaduna, there are people with presidential ambition that are investing in it to make it look worse, to target me.